Netflix-branded remotes coming to the UK? 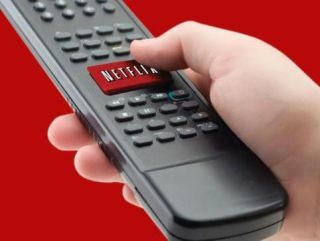 Netflix has told TechRadar that it is hoping to expand the brand in the UK, with the introduction of its app on more smart TV platforms and remote controls with a Netflix button. Netflix launched in the UK in February and is available on a number of devices including the PS3, iPad and PCs. Currently Netflix is also on Samsung smart TVs but it is hoping to be picked up by other television brands in the UK, as it sees the smart TV category as an emerging one for movie streaming. "Smart TV is a big thing for us but at the moment it is an emerging market. Over time we hope to be on more Smart TVs in the UK. The category will grow but it is very small right now," explained Joris Evers, director of corporate communications for Netflix. When it comes to a Netflix button on a remote, this is something that is already on devices in the US. Brands like Sony, Panasonic, Sharp and Samsung agreed to put buttons on their remote controls in January 2011 and it is something Netflix wants to bring to the UK. "We want to make it as easy as possible for people to access Netflix. What we have in America is that some manufacturers have put us on their remotes, so there are Netflix buttons which go straight to the service once they are pressed," explained Evers. "We are speaking about this with manufacturers in the UK and hope to see it happen."